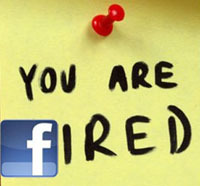 Assembly Bill 1844 by Nora Campos (D-San Jose) prohibits employers from demanding user names, passwords or any other information related to social media accounts from employees and job applicants. Employers are banned from discharging or disciplining employees who refuse to divulge such information under the terms of the bill. However, this restriction does not apply to passwords or other information used to access employer-issued electronic devices. The bill further stipulates that nothing in its language is intended to infringe on employers’ existing rights and obligations to investigate workplace misconduct…. Proponents of Assembly Bill 1844 say this is a common-sense measure that will bring clarity to a murky area of employment law and stop business practices that impede employment. I predict that the litigation under this new law will surround whether or not the employer is investigating workplace misconduct. When is an employer investigating? What are they investigating? Is there a formal process for this? California courts will have to settle all of these questions. Moreover, this bill only applies to California. What about the rest of the country? The Password Protection Act of 2012 is a federal bill that is a making its way through the House of Representatives. In addition to forbidding employers from requesting passwords, it would prohibit employers from discriminating or retaliating against a prospective or current employee based on her refusal to provide access to personal accounts. On January 13, 2011, the California Supreme Court decided Holmes v. Petrovich Development Co. In the case, plaintiff Gina Holmes sued her former employer for sexual harassment, retaliation, wrongful termination, violation of the right to privacy, and intentional infliction of emotional distress. However, before ever initiating suit, she used her company-provided computer to send emails to her attorney regarding possible legal action against that very same company employing her. Tagged as company computer, company property, compnay email, Holmes v. Petrovich Development Co.